Bed ridden Mukono Municipality member of parliament Hon Betty Nambooze has sent message of unity to all oppositions in Uganda. 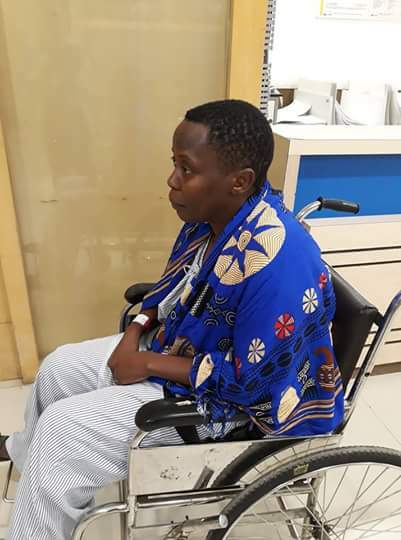 Nambooze who is currently receiving treatment in India for the second time in six months following the injury she sustained during age limit debate warnedagainst creations of third force referring to it as sad force. ackmail, intrigue...Dont confuse the Struggle....Our lines must be clear,you are either with the Oppressor or the Opppressed. The Opposition space is big and can accommodate all of us...Like stars in a sea of darkness Uganda is engulfed in, you need not fear we shall all be seen...The struggle is still short of leaders that no one needs to eliminate anybody in order to be relevant in the battles and bigger War for Uganda. There are those who think that their small acts of betrayal,antagonism,witch hunt against individual colleagues in the Opposition can't affect the struggle...they feel they have personal scores to settle with comrades that can't wait...to you I say that remember that even friendly fire kills. Yet we cant rule out the foreign hand of the enemy in all this... surely why would one choose this time to plot coups in the Opposition...to target colleagues instead of the enemy?! Don't be fooled by Museveni's apparent weakness and evident disintergration of the junta regime to think that it's time to share the spoils of war. Ironically It's times like this when dictators are at their weakest that they do horrible things to their countries.We need each other now more than before for our own safety and consolidation of the liberation strategies and a clear defination of a Uganda that will work for all. WE ARE THE CHANGE WE ARE WAITING FOR.